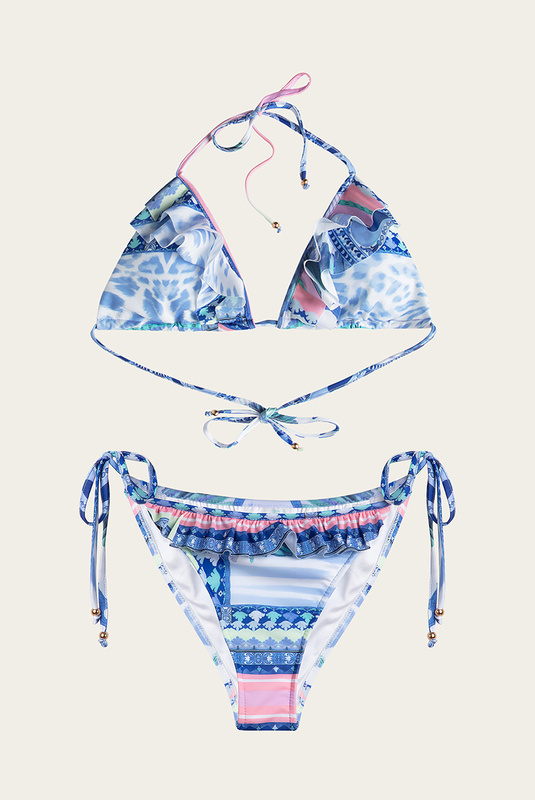 Enjoy white beaches while wearing this feminine and timeless Gigi bikini model. A classic triangular bikini top model with a perfect fit, with double frill layer for the extra touch. Wear it with Gigi bikini bottom. 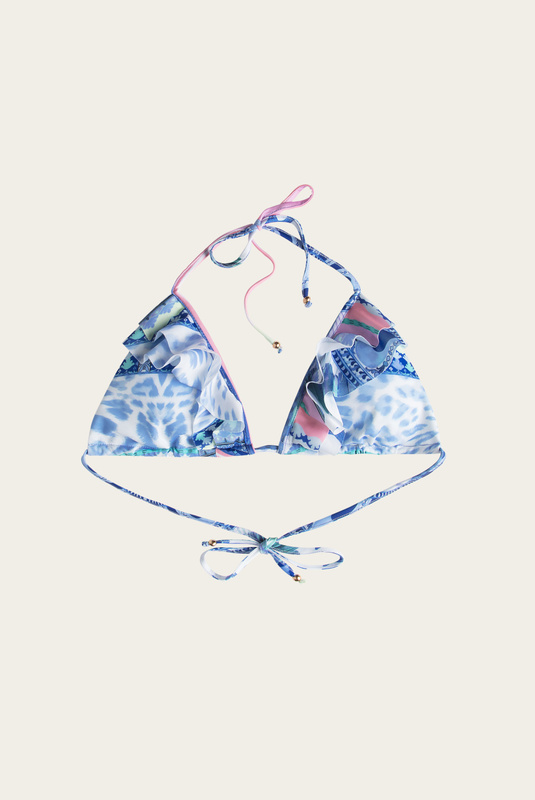 The bikini top has removeable padding and golden eyelets.